A subtle understated piece to convey the feeling of autumn leaves and cozy fires! 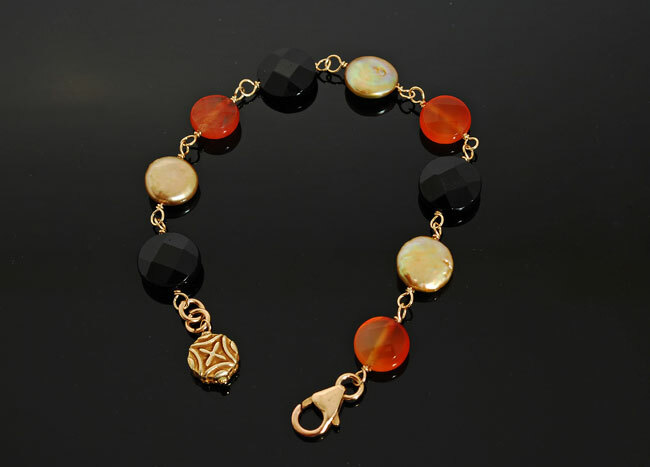 Faceted black onyx and carnelian discs are enhanced by luminous champagne colored coin pearls and accented by a beautiful stamped gold filled fob. 14K gold filled, 7 to 7.5″ long.